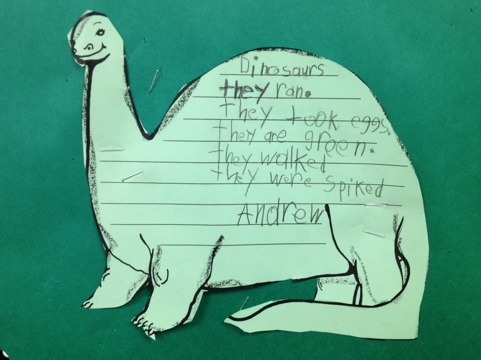 Dinosaur lessons pair up great with Science, especially “living things” lessons. 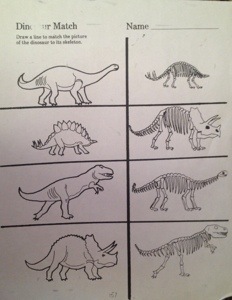 I usually bring in this theme at the end of April and after Easter, since dinosaurs came from eggs. 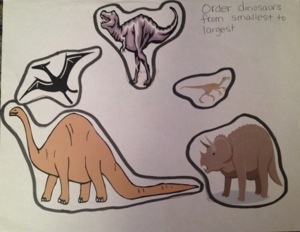 Here are some snip-it’s of some Dino things we have created. 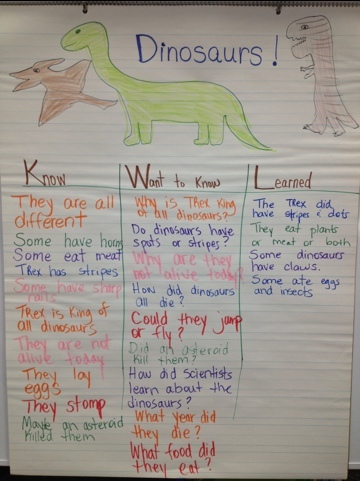 KWL chart– We thought about what we knew about dinosaurs on Monday and on Tuesday, students stated things they wanted to learn about dinosaurs. 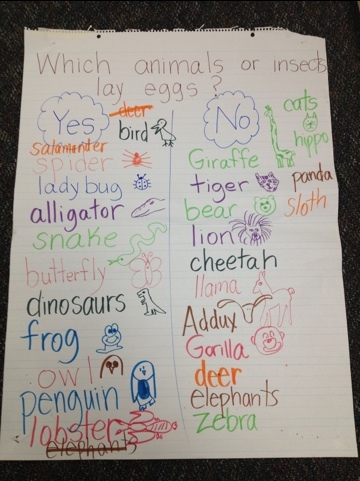 Kindergarteners have lots of questions and this is a great way to list them and revisit when time permits. 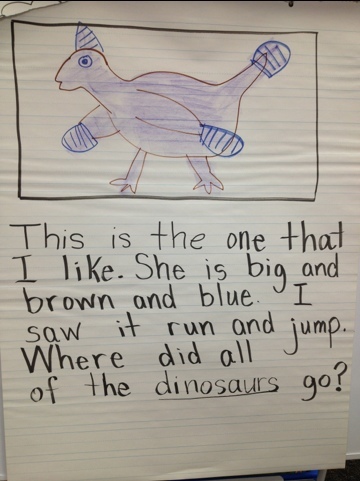 At the end of our dinosaur unit and during it, we listed the answers to some of our questions. 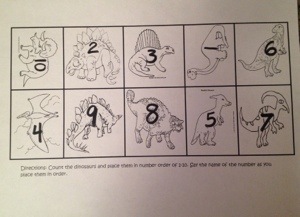 We didn’t find out all of the answers, though and the kids learned that it ok! 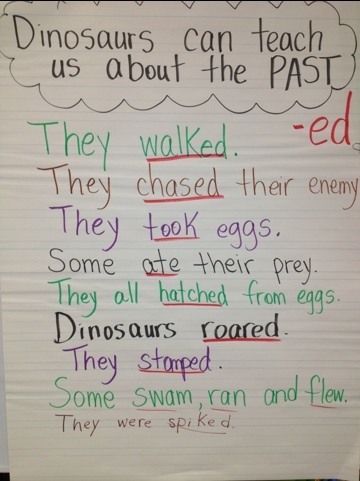 Reading Words ending in -ed: I did the whole group lesson below, on chart paper, because I noticed that students were having trouble reading books that had words with “-ed.” After this lesson their reading was more proficient! 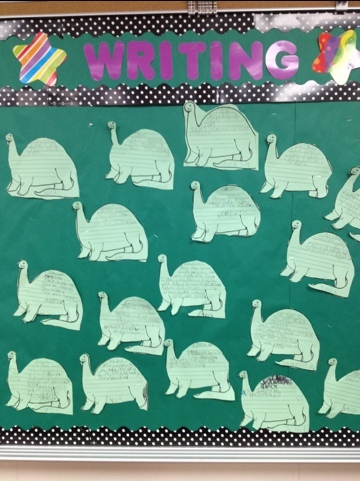 They also had alot of fun thinking about verbs and action words of dinosaurs! 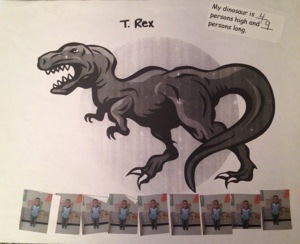 Picture Completion-Great for developing creative thinking! 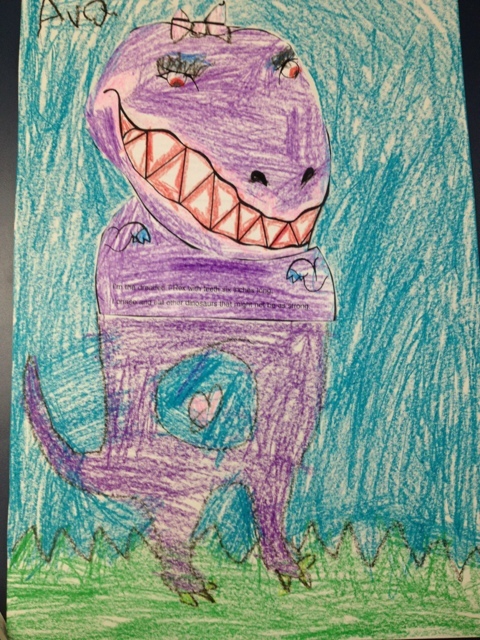 I got the drawing of T-Rex from a “Teacher Created Materials” teacher resource book. 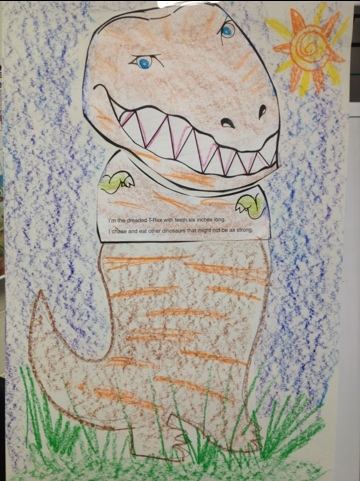 The students had fun drawing the rest of T-Rex’s body along with his environment. 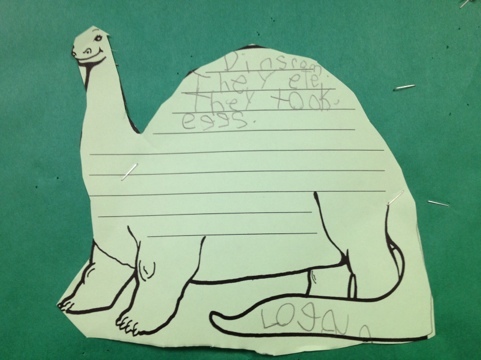 Sight Words “yes” and “no” lesson– This is a chart we created before our dinosaur unit. 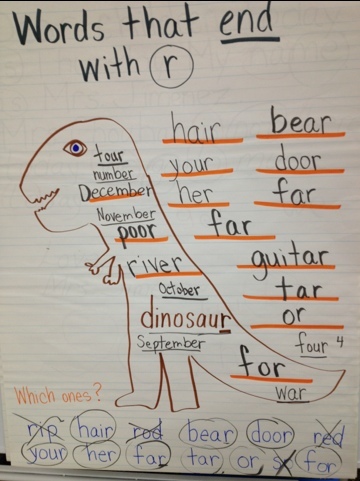 It was a fun way to incorporate sight words! 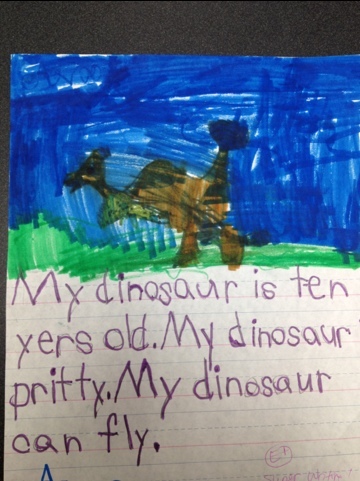 My favorite dinosaur sight word writing! As I modeled writing (while the students read aloud) I emphasized how each word is a sight word that we have learned during Kindergarten. 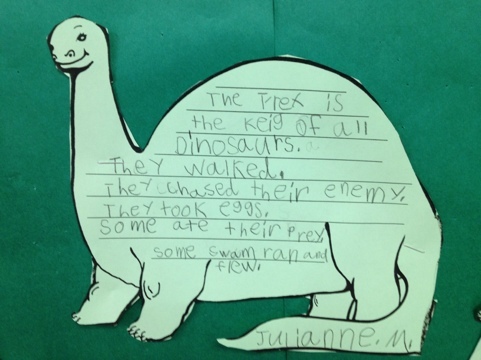 All except for the word dinosaur. 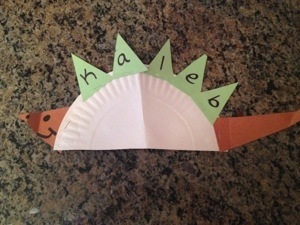 Cute dinosaur song! 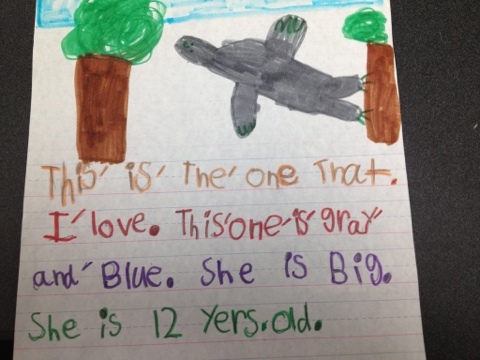 This song names the dinosaurs! It is nice and twangy. 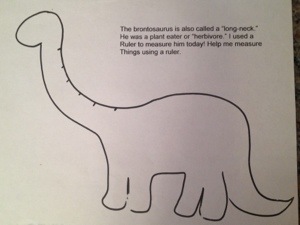 How many “persons” long is a dinosaur? 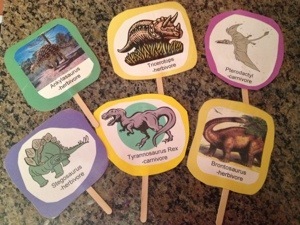 Whole Group Activity – Pass out Clip Art made dino-sticks of “meat-eaters” and “plant eaters.” The meat eaters act out “subtraction” problems that the teacher verbalizes and writes down on the whiteboard. 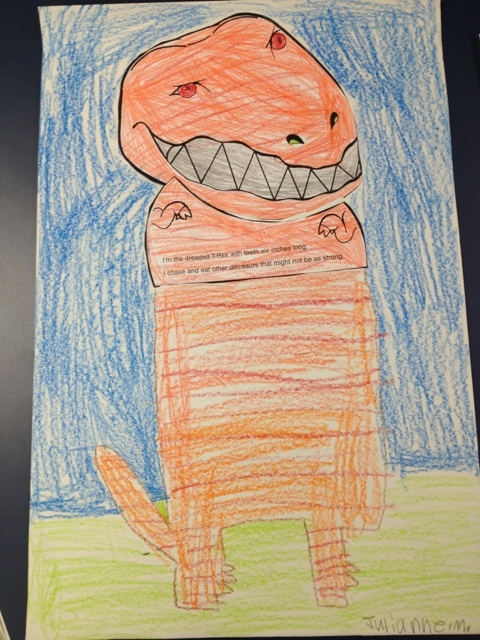 The children absolutely love eating their dinosaur friends!